Featured Pet: Janice - Houston Pets Alive! Janice is a 7 year-old American bulldog mix, but a total puppy at heart! She LOVES to fetch, so much so that once she’s got the ball she’ll want to keep it forever… or at least until you throw another one! 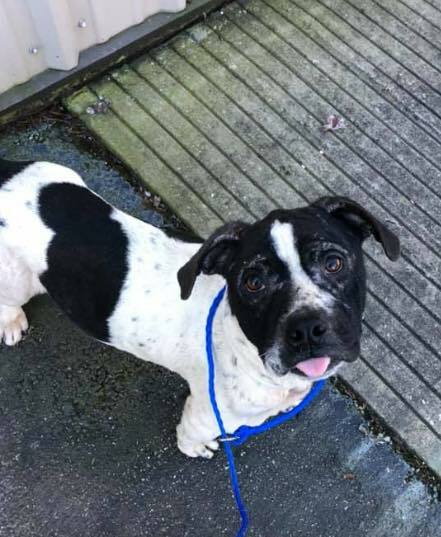 In fact, she loves to play ball so much, her signature look is a ball hanging out of one side of her mouth, and her cute, pink tongue hanging out of the other side! 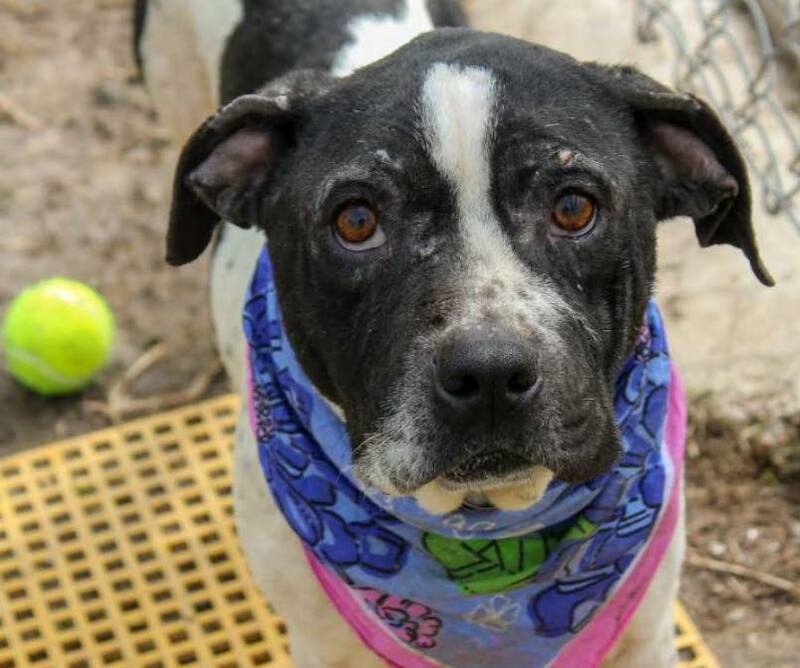 She has had a rough past, and her cuts and scrapes all over her body are constant reminders of the life she lived that was not kind to her before she was saved from euthanasia by Houston Pets Alive! She wants to put it all behind her and is looking for someone to provide a safe place for her to lay her head at night, to always protect her like she will protect you, and to just be her best friend. 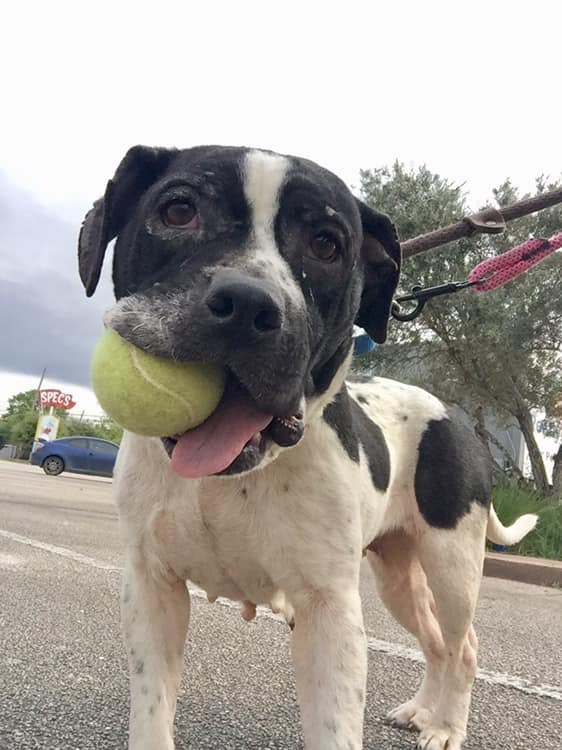 You can meet Janice at Houston Pets Alive! at 8620 Stella Link Road from 12-6pm Fridays-Tuesdays. Her PetFinder.com page is here. 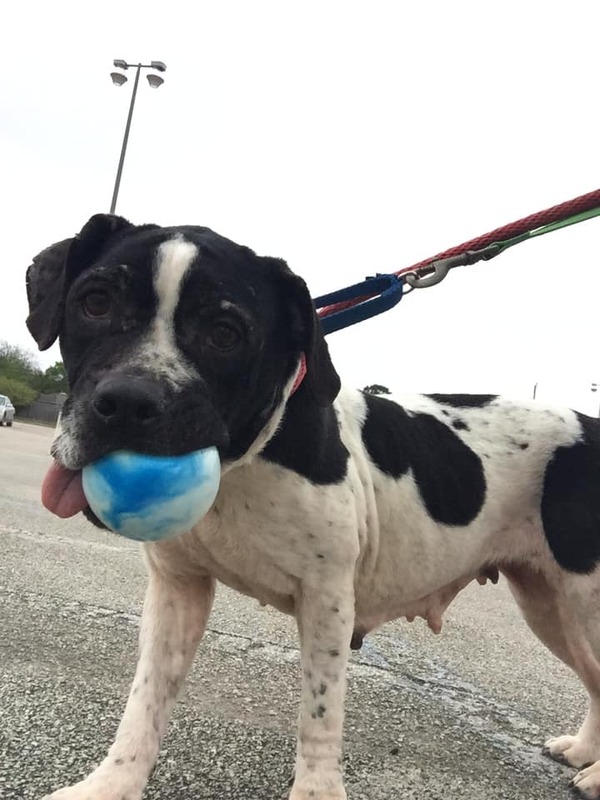 Questions about Janice can be emailed to adopt@houstonpetsalive.org. For more information on Houston Pets Alive!, visit houstonpetsalive.org, or follow HPA! on Facebook (facebook.com/houstonpetsalive14), Instagram (@houstonpetsalive), and Twitter (@houpetsalive).